like the Madarin Oriental or the Hilton Kuala Lumpur, but just because the hotels are cheap doesn't mean that Kuala Lumpur is lacking in things to do. You can find great shopping opportunities throughout the city, including at the Midvalley Megamall located to the south of the city proper. Excellent food like saree and banana leaf rice can be found on truly any street corner but places like Damansara and Hartamas in particular have an extensive selection of eateries and drinking spots. A rail system makes getting around Kuala Lumpur easier, and the main regional station, KL Sentral, is south of this Malaysian Capital. The Batu Caves, a national Zoo, and the towering Petronas Twin Towers round out a solid selection of fascinating attractions in this increasingly popular tourist favorite. travelers are left to decide based on two other factors: rain and festivals. The heavy rains and humidity peak in March/April and October/November, although the clouds don’t disappear the rest of the year, so pack an umbrella. If you’d like to visit the Malaysian capital during a festival, National Day on August 31 is one of the most popular. Other choice celebrations include Chinese New Year and the Hindu Diwali festival. Book well in advance if you go during these times. Very clean city. Most local is pretty nice and friendly. I love the buildings in this city. Kuala Lumpur is lovely. 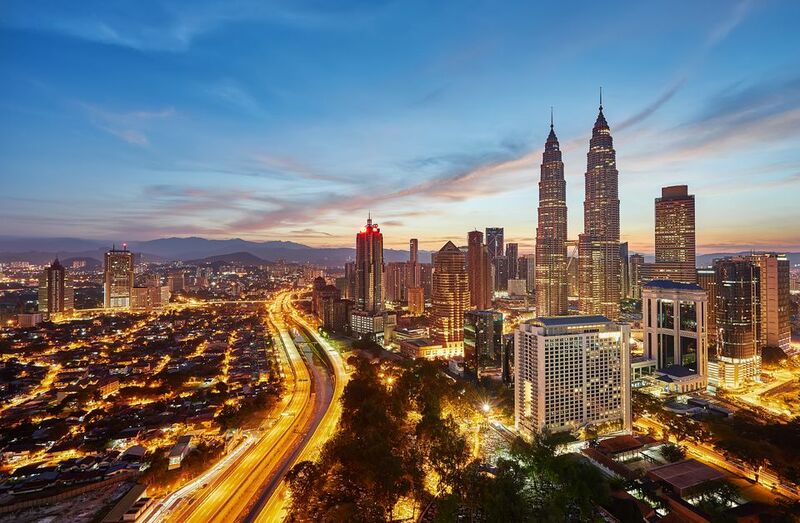 Top places to visit has to be right in the heart of KL! Food is everywhere. Head to Lot 10 Hutong and try local food from all over. Walk around Pavilion and Bukit Bintang. For something higher end, go to Ritz Carlton for their Afternoon Tea. Kuala Lumpur is a city that I've learnt to love the more I've gotten to know her. She is fast-paced, fun, crazy, spiritual and full of amazing things to do and explore. Oh, and food is like a religion here - so eat all you can, anytime, anywhere! Twin towers at night are pretty. If you have more time. You could walk through skybridge to see the city from the top. Walking around this area is safe. Kuala Lumpur is a city very similar to others. I didn't think there was anything really special about it. There is a massive divide which is incredibly obvious between class which I found quite unsettling. We had to stop in KL quite a few times as it's the hub of getting to and from different destinations. My highlight was probably the Petronas Twin Towers. They are pretty impressive from outside and provide a spectacular view. There is a massive shopping mall beneath them which was full of westernised shops (my first look around Topshop in months!) and we went to the cinema to see the latest release for £2! I felt quite uncomfortable in KL. To me it was quite dirty and the class divide was quite off putting. Saying that, we didn't stay long enough for my opinion to be changed.